Patriot Security Group offers security consulting services ranging from assessment and master planning, policy development, business continuity strategies, audits, and more. 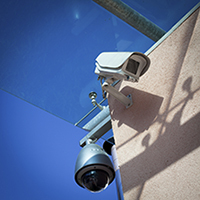 Our team of security experts help clients prevent, plan for, and respond appropriately to security risks so they can focus on their business. The security decisions that a business owner makes today, determine the organization’s security for years to come. Patriot Security Group can ensure a realistic approach that is based on industry best practices as well as real-world experience.